Located in one of London's most thriving and art-driven communities Rich Mix does exactly what it says on the tin, presenting visitors of different interests with a colourful range of cultural offerings. Housed in a stunning, 62,000 square feet complex, this former garment factory is now a sleek, ultra-modern base for both entertainment and education. One of the main attractions is the three-screen cinema offering a mix of films from popular family favourites through to art-house festivals. 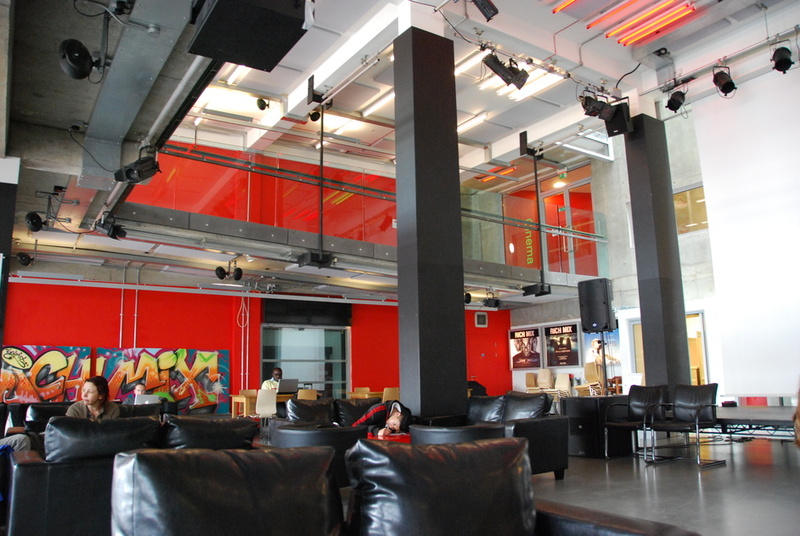 A large exhibition space encourages art of all kinds to develop, while the foyer and 200-seater theatre provides performances of all kinds from comedy and club nights, DJs and VJs to poetry food demos. The emphasis here is on encouraging cultural diversity and creative collaborations. Recording studios offer music training, while a set of workspaces host a number of small creative businesses. This is real asset to an already culturally dynamic East End. Original Afro-Cuban sounds come from the trumpeter who resides in London. The Argentinian singer-songwriter brings her psychedelic flavoured Latin sounds to the UK's stages. Support on the night comes from King Coya. Helen Yeomans' mix of music and spoken word explores the state of the world today. Artists featured are The London One World Choir and New YVC singers, plus spoken word artists including Vanessa Kisuule, Cheryl Moscowitz and Luke Mille. The Munich-based three-piece lead by singer Valerie Trebeljahr creates pop and electronica. The event features international artists, including Saida Islam Mou, Tanna Khan and Farhana Chowdhury from Bangladesh. Ahmed Kaysher is the curator. Crick Crack Club explore the myths and cliches of heroes from history to Hollywood. The artists collaborate to perform an alternative music response to Brexit. The Cuban singer-songwriter, flautist and percussionist Yaite Ramos Rodriguez, mixes Latin styles with hip hop in her original material. Support from Wara. Arts Canteen's showcase brings Arab performers to the live stage. What are the best dining options near Rich Mix Centre London? Rich Mix Centre gyms, sporting activities, health & beauty and fitness. The best pubs near London Rich Mix Centre. Rich Mix Centre clubs, bars, cabaret nights, casinos and interesting nightlife. Where to have your meeting, conference, exhibition, private dining or training course near Rich Mix Centre. From cheap budget hotels to luxury 5 star suites see our deals for Rich Mix Centre hotels, including Courthouse Hotel Shoreditch from 80% off.